Which networks should I check? Any chance of making a plan in Germany and using it in Switzerland? And what do I do if I have an iPhone 5 and need a Nano-SIM? The Frau speaks English and conversational German. But your email sounds like it’s in an entirely different language. Unfortunately The Frau does not speak tech. If you want proof, have a look at the 2006 Motorola cell phone she still uses in an Orange pre-pay kind of style. Hopefully some fellow yodelers can come to your service by leaving comments below that directly answer your questions. All The Frau knows is this: it’s almost impossible to get any kind of phone or data plan without first having your residence permit. This is a cruel joke to play on any newcomer, but it sounds like it will be especially cruel for you. So plan on visiting a lot of Starbucks to get your Wifi fix and Skype away the hours while Swiss bureaucracy does its thing. The reason The Frau has pre-paid plan in the first place is because it was all the Swiss would give her while she waited and waited for her official piece of paper that said she was a permanent resident. In the end, The Frau is grateful for her Orange pre-pay SIM as it has probably saved her thousands of francs in phone bills over the last seven years. Luckily, unlike when The Frau arrived in 2006, these companies actually have functional websites that converse in English (much has changed in the last seven years!) so you may find some of your answers there. But that being said, fellow yodelers, can you help Data Needy in CH? I'm using Yallo Prepaid for my tablet computer. You will get 500MB of traffic per month for 12 CHF (prepaid) or 150MB for 6 CHF. They targeted customers are foreigners because they offer special rates for phonecalls to abroad (although I'm only using the data plan). I just saw they have an entire section called "Info-Movie: Moving to Switzerland?" I would say you will find every information you need when you're moving to Switzerland from abroad. They also compare the prices of the various telecom companies in Switzerland with a calculator what offer would be the best for your needs. We've been using Lebara pre-paid since we moved here four years ago. We rarely call or SMS, so it's very inexpensive for us. In addition to calls and SMSes, I pay 5chf/month for 150MB of data, and Wojtek pays 15chf/month for 'unlimited' data (it's throttled after 1GB). Lebara wasn't yet offering nano-SIMs when Wojtek got his iPhone5, so he cut his card down himself (it still works!). Lebara should have nano-SIMs by now though. My advice would be to visit a Mobilzone after arriving in Switzerland, as they have information on all networks' plans. And from what I remember, we were able to get SIM cards with just our Meldebestätigung papers. We didn't need to wait until our permits were ready. I use a prepaid Migros Budget Sim Card and it's fine for me. Like the Frau, I imagine it's saved me lots of dough (chf) in the long run. Thankful for Starbucks - free wifi while on the go - plus caffeine and a menu in English. It's a win-win-win! Thanks all for the feedback. You don't need a permit to get a SIM card. That's why I have an Orange pre-paid one. Not sure where are you from. if you are from a European country actually it's pretty much the same affair, data plans are relatively expensive. if you are from the US, then sorry for you, no unlimited stuff. If i remember correctly Orange has this bonus mechanism which can cover your data needs. you re-up (recharge that is) 30 CHF and you get to choose a bonus, one of them is 500MB data for 30 days. It isn't much but again it does not come with additional costs if you don't call or text much (prepaid rates are kinda high). Hope it didn't change since I've left for almost 6 months. Smaller providers rent the big guys' networks and it's relatively cheap, but service could be less reliable as well. Customer service is almost completely relying on the phone calls. 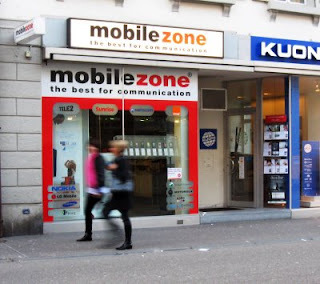 and sorry, i am not aware of any providers give you roaming-free service in both germany and swtizerland. I use Orange Young and for 69 francs I have 3GB and unlimited calls toward every Swiss carrier. If I well remember I also have unlimited calls in Europe and the US but you should check on the website. Generally speaking Swisscom has the best 3G/4G coverage, with Orange following closely while Sunrise is pretty bad (their customer service is a nightmare). The problem with Swisscom is that is more expensive and that they limit internet speed depending on what contract you have (the more you pay, the faster is the connection) while with Orange you have full speed with every contract but have to wait June for the implementation of LTE (at the beginning it will be available in the big cities only). In my opinion Orange has the best offer right now, but if you can spend more i would recommend you Swisscom because has better coverage. Your post was very useful to chose my network carrier.But my phone is locked to Rogers.So i needed to unlock my phone.For unlocking i referred Mobile-Unlocker.com Now i really enjoy with Swisscom service.